Tungaloy is introducing the Wavy Joint CBN inserts, an innovative CBN brazing technology for higher productivity in hard turning operations. Hardened steel parts are gaining broader acceptance in todays automotive industry to meet the requirements of downsizing for less emission and energy. Manufacturers are seeking cost-effective solutions to improve productivity and machining efficiency. CBN inserts are an effective solution to turn hardened steel parts. However, a CBN tip brazed with a conventional brazing technology is prone to detach, or de-braze, from its carbide base insert when turned dry at a large depth of cut. Therefore, the operator has to use multiple, small cutting depth passes. 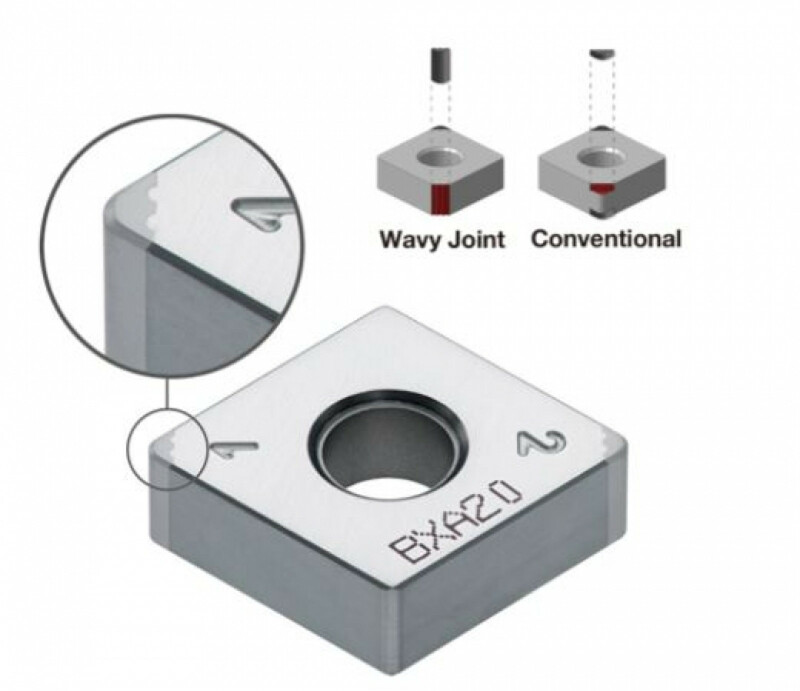 The Wavy Joint CBN insert is a ground-breaking solution, which can significantly improve machining efficiency, enabling hard turning in a single pass at a large depth of cut and at a higher feed rate. Capable of a depth of cut up to 0.8 mm. Fewer turning passes for higher efficiency. Reduced risk of debrazing allows for a dry and interrupted cutting at a large depth of cut. Reduces premature insert failures caused by thermal fatigue often seen in wet cutting.